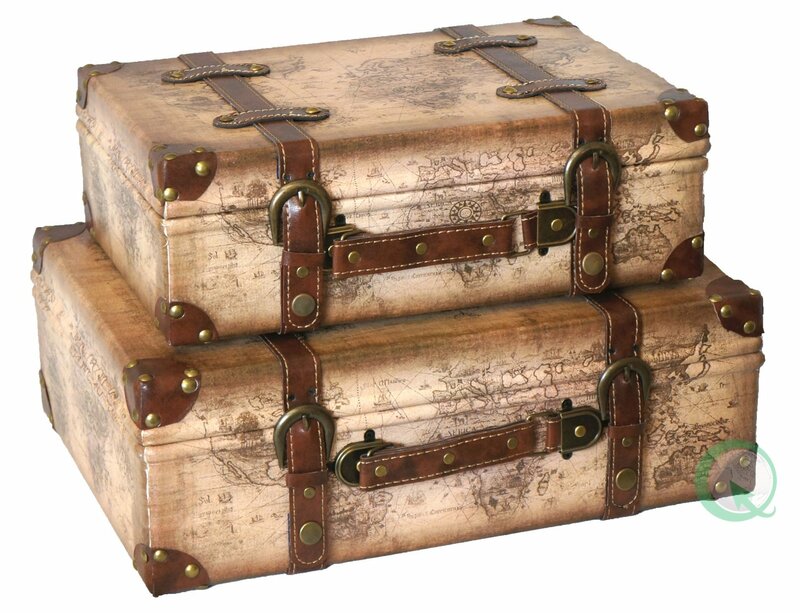 Shabby chic and vintage are back in fashion and these vintage suitcases would be perfect to brighten up the corner of any room or help make an impact with your interior design theme. 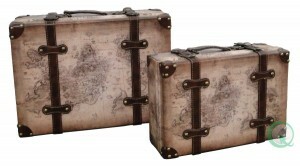 Sold as a set of 2 they have just the right amount of aged effect that makes them extremely attractive. The vintage suitcases would be useful for storage of documents or small personal possessions or simply as a decorative addition to your home. The old map design, leather straps and colors used all make these vintage suitcases pretty and suitable for almost any room. You could even give them as a gift to a budding traveler as a keepsake.